CALL FOR OUR SPECIAL TEAM BUILDING EVENTS!!! Seriously! you have got to try this! So you have a love for Archery and also like dodge ball or Paint Ball? Upshot Archery is a fun mixture of both! Check our Schedule page to sign up today! For Birthday Parties, large groups or special team building events call us directly at 859-282-6333. This is a fun activity for those that want to try something fun and different. 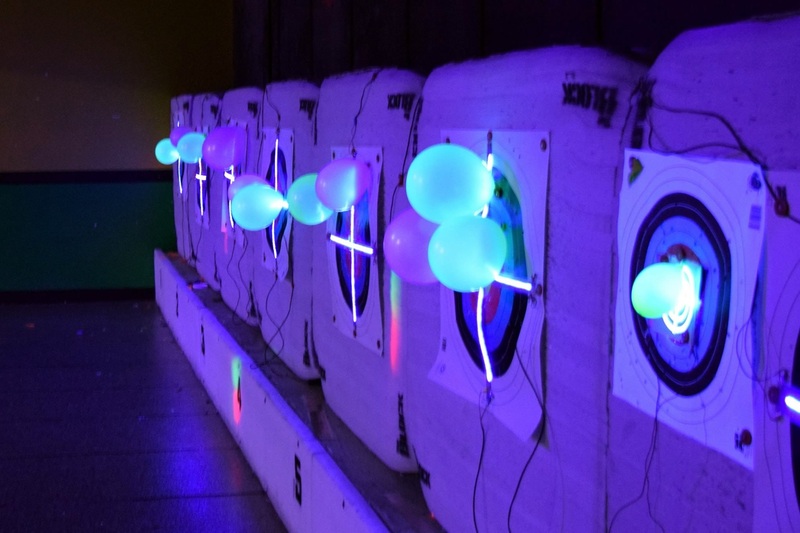 Music, lights, and laughter make up this activity with targets that glow and neon colors. Targets and activities change each month. $15 using your own equipment.